McCall ex rel. McCall v. Household Finance Corp., 122 So. 3d 832 (Ala. Civ. App. 2013): Obtained affirmance of dismissal of borrower's breach of contract, fraud, and intentional infliction of emotional distress claims against mortgage lender based on statute of limitations and failure to state a claim upon which relief could be granted. Patrick v. CitiFinancial Corp., LLC, No. 3:15cv296-WHA, 2015 WL 5236031, (M.D. Ala. Sept. 8, 2015): Obtained dismissal of borrower's breach of contract, Real Estate Settlement Procedures Act ("RESPA"), and Fair Housing Act ("FHA") claims based in part on res judicata arising from previous ejectment action. McClung v. Mortgage Electronic Registration Systems, Inc., No. 2:11-CV-03621-RDP, 2012 WL 1642209 (N.D. Ala. May 7, 2012): Obtained dismissal of claims against MERS and mortgagee challenging servicing of mortgage loan and lender's authority to foreclose. Abraham v. Midland Funding, LLC, Case no. 1:14-cv-3485-RWS-JFK (N.D. Ga. Jan. 21, 2016): Obtained summary judgment in favor of Fair Debt Collection Practices Act ("FDCPA") defendant in putative class action that alleged that the defendant violated the FDCPA by using summons notices in collection actions that allegedly misinformed debtors of their rights under state law. 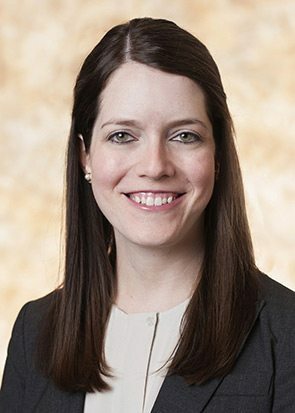 As a member of the Financial Services Litigation Practice Group, Rachel specializes in defending financial institutions from alleged violations of state and federal consumer protection laws at both the trial and appellate levels. Rachel represents financial institutions such as banks, mortgage lenders, credit card companies, auto finance companies and debt buyers/collectors in consumer lawsuits filed under various state and federal laws, including the Fair Debt Collection Practices Act, the Telephone Consumer Protection Act, the Truth-in-Lending Act, Fair Credit Reporting Act, and the Real Estate Settlement Procedures Act. Rachel’s experience includes defending class actions and compelling claims to arbitration. She has also obtained successful outcomes on behalf of clients at the appellate level in both state and federal court. Rachel is also a contributor to the firms Consumer Finance Litigation Blog. Prior to joining Burr & Forman, she served as a Judicial Clerk for The Honorable Sharon L. Blackburn at the U.S. District Court, Northern District of Alabama.